For a limited time, receive a free pack of any 300 µL extended length ClipTip Tips with each E1 Pipette purchased. Extended length tips now available in 12.5 and 300 µL sizes to help enable better reach with specific labware formats. Ensure a secure seal for every sample. Thermo Scientific™ ClipTip™ Pipette Tips provide a secure seal for every sample with a unique and innovative interlocking technology that ensures a complete seal on every channel with minimal tip attachment and ejection force. Achieve newfound confidence knowing that once attached, your tips are locked firmly in place, and will not loosen or fall off regardless of application pressure. The innovative three interlocking clip design ensures the tip is held securely on the F1-ClipTip and E1-ClipTip pipettes until — and only until — it is released. Interlocking ClipTip technology provides a secure seal on every channel. Adjustable tip-spacing combined with the electronic tip ejection, and index finger operation ensures more ergonomic and efficient pipetting experience. An intuitive personalized user-interface makes even the most complex protocols easier, and efficient to complete. Versatile product range from single, 8-, 12- and 16-channel to 6-12-channel adjustable tip spacing pipettes. 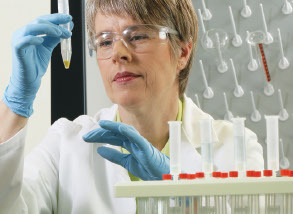 Tips that clip securely on the pipette. Versatile product range with 12.5-1250 μL 96-format tips and 12.5-125 μL 384-format tips. Several packaging options from racked to environmentally friendly and space saving reload towers. All ClipTip tips are certified free of RNase, DNase, DNA, ATP and endotoxin contamination. Low retention technology minimizes liquid retention and enable maximum sample recovery. Available in ClipTip 20-1250 96-format tips. Convenient color coding makes it easy to find the compatible F1-ClipTip or E1-ClipTip pipettes. Offer valid until 30th June 2019 for customers in New Zealand only. All pricing excludes GST. Not to be used in conjunction with any other offers. No further discounts apply.